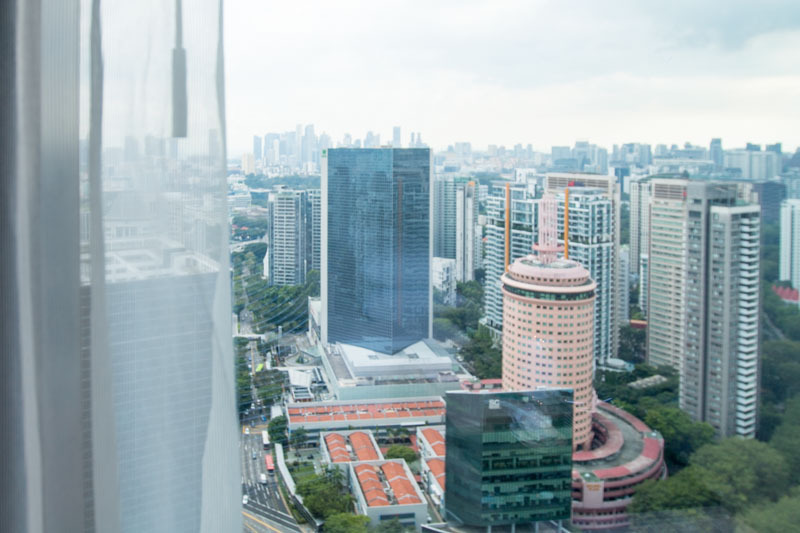 With how overworked us Singaporeans feel, it’s no wonder that we’re always looking for the next holiday getaway, or even just a short staycation. 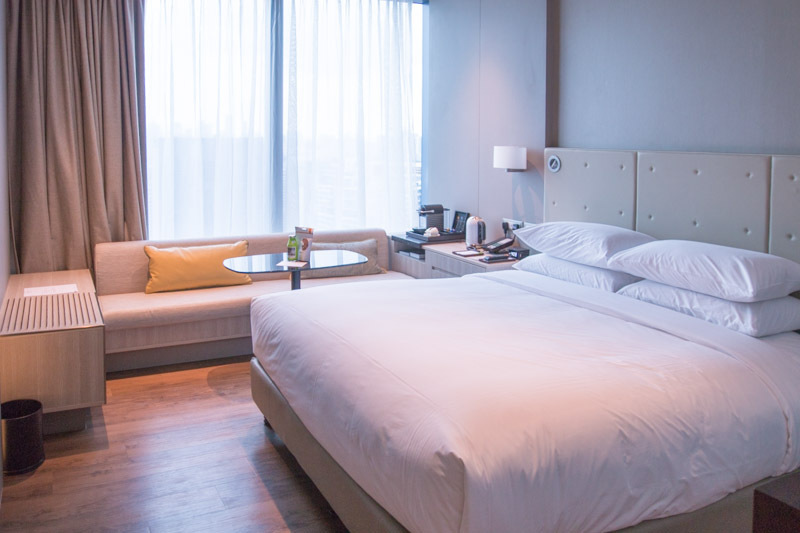 Newly opened in October 2017, The Courtyard by Marriott Singapore Novena promises a refreshing stay for leisure and business travellers alike. 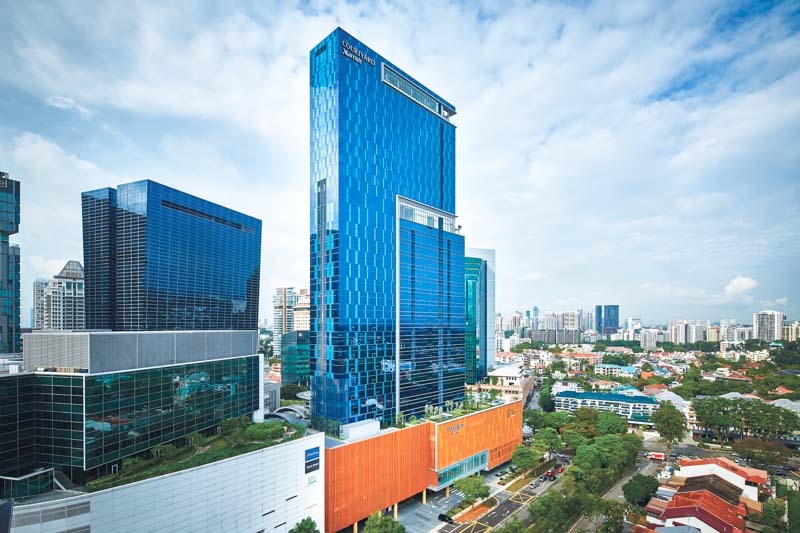 Located right next to Novena MRT Station, shopping hub Orchard Road is just a stone’s throw away. I found the location pretty accessible, and the environment was also quiet and relaxing. 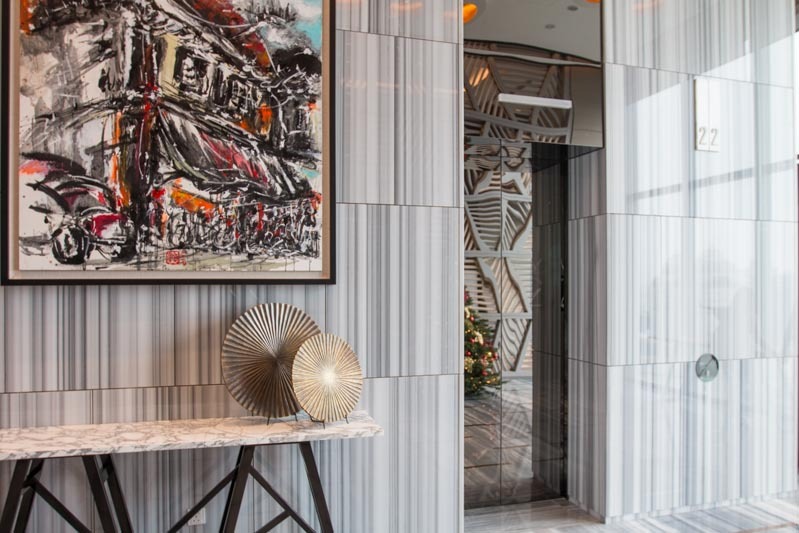 The stylish lobby set me in the right mood for the weekend of leisure with a touch of class. I really enjoyed my stay in the Premier Room, with a king-sized bed so that I could sprawl out comfortably. It’s not every day that you get a huge bed all to yourself, after all! The spacious hotel room had a wonderful view of the city skyline. Together with the comfortably soft bed, this would make the perfect pick-me-up. For the business traveller, the glass table and low couch provide a working space with a view. If you’re there for a staycation, that space is a convenient setup for heart-to-heart chats and card games. For a sumptuous meal, head to Sky22. 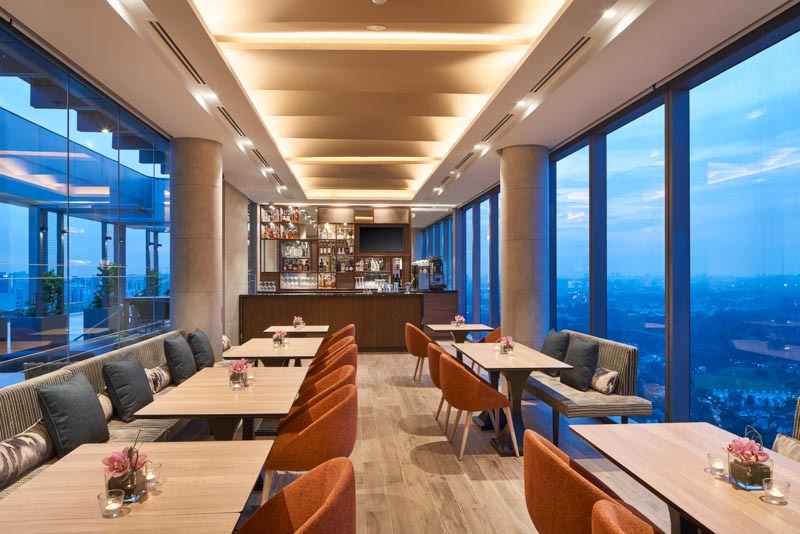 The hotel’s all-day dining restaurant is located on the 22nd floor (which is also where the hotel reception is). 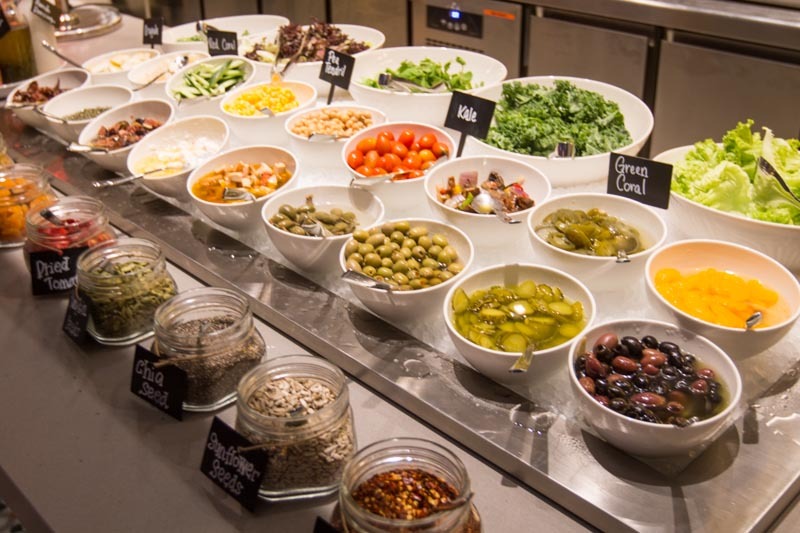 I enjoyed the Singaporean-style cuisine offered here, where you can even build your own salad! 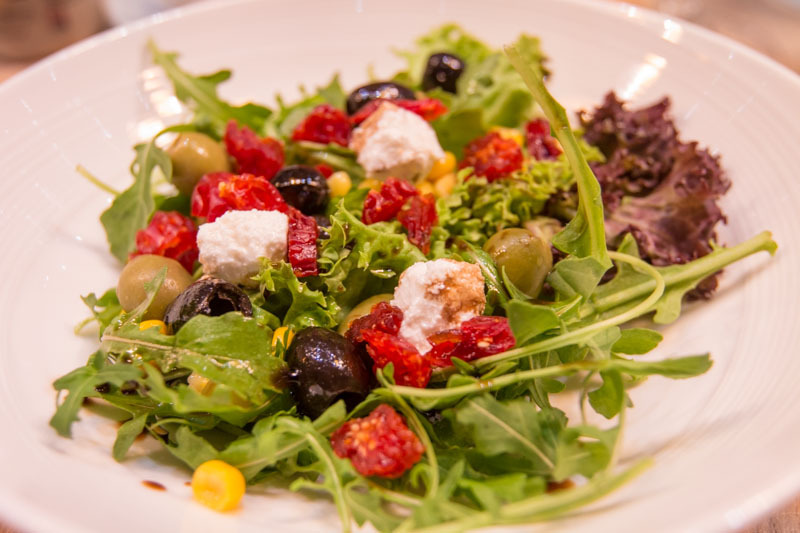 Getting your daily intake of greens has never been more delicious. You can choose from arugula, red and green coral for greens. I also added olives, dried tomatoes, chickpeas and feta cheese to my salad. Who said salads are boring? I particularly liked their new take on the traditional Bubur Cha-Cha. Cold coconut ice-cream replaced the usual warm coconut soup, which made it taste lighter than the original dessert. 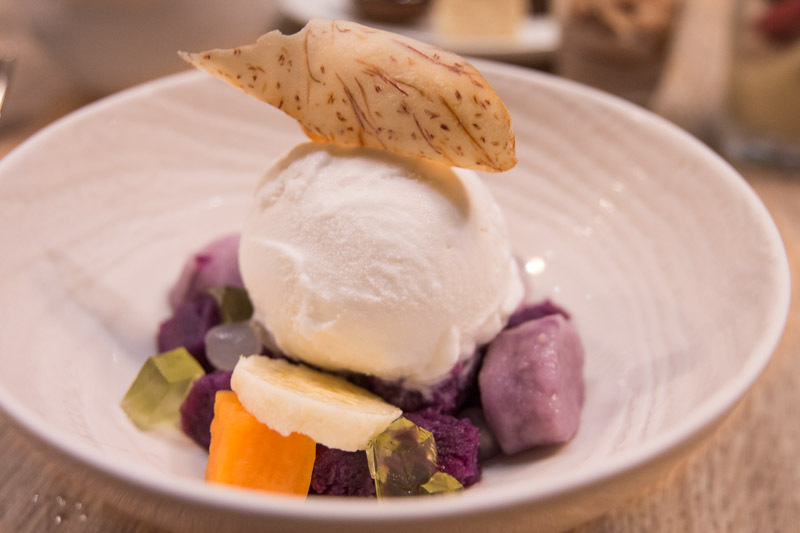 All the familiar ingredients were still present and I loved the mix of creamy ice-cream and chewy yam chunks in this twist on a familiar traditional dessert. Fancy a nightcap after dinner? I headed up to Urbana, the rooftop bar on the 33rd floor. Take in the night view from the open-air seating, or chill in the comfort of indoor seating. I enjoyed the Cosmopolitan ($17), a fruity vodka concoction that was rather refreshing in the night breeze. If I thought the view from the room was stunning, the view from the 33rd floor was nothing short of spectacular. What’s better? 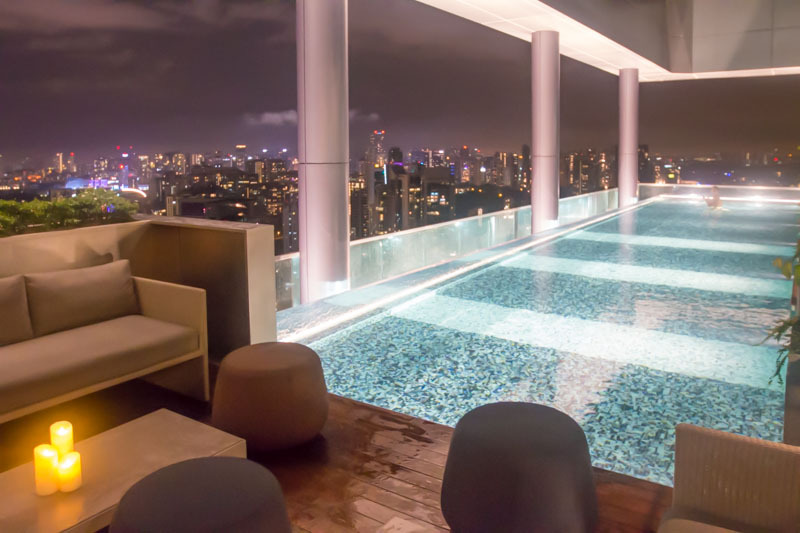 Soak up the chill night-time vibes in the rooftop pool that overlooks the city lights. Or make a splash in the morning instead, and bask in the sunlight. 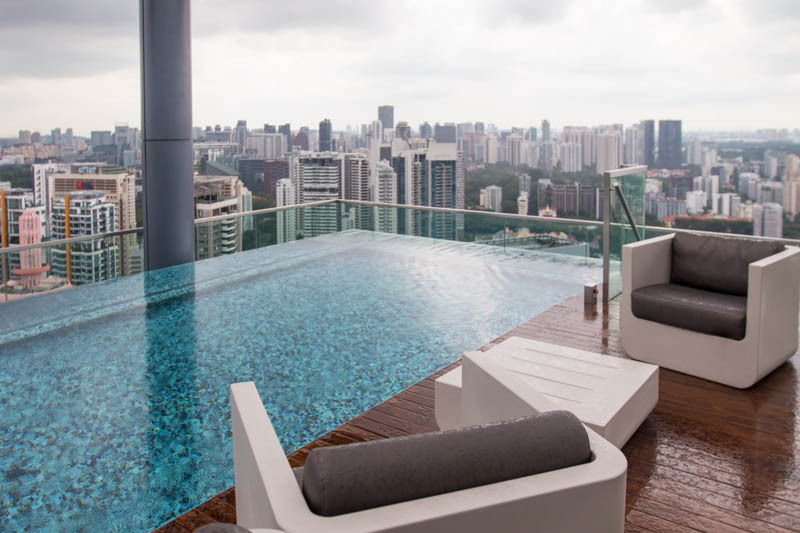 You’ll feel on top of the world in this hotel pool. Sitting by the pool with a book was my ideal lazy Sunday morning, which helped throw away my cares even for a short while. 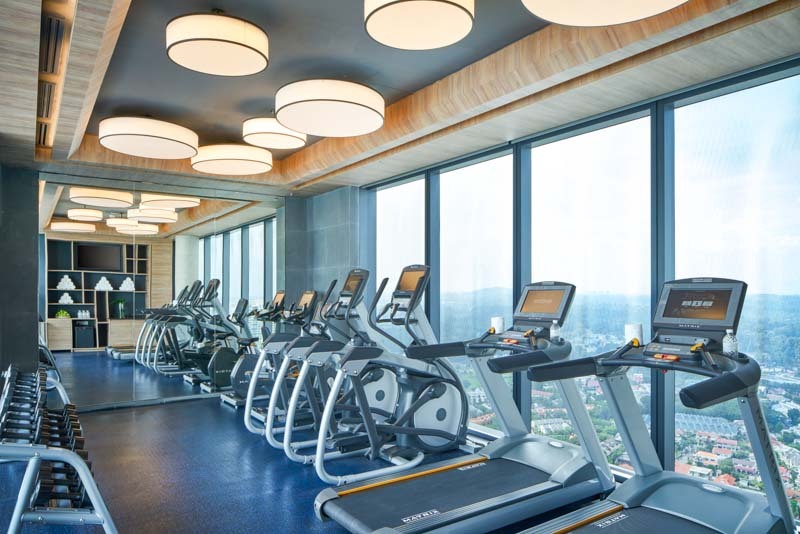 For the fitness enthusiast, you’ll be happy to know that the gym is on the 33rd floor too, so you can hit up weights and cardio with a stunning view. Though it might be slightly small, this fitness centre is well-stocked with the necessities for keeping up your fitness routine even when you’re away. If I had more time, I would definitely have worked up a sweat with these facilities. I loved the chill vibes of The Courtyard by Marriott Singapore Novena, especially since it’s not right smack in the middle of the Orchard Road. It feels like the perfect spot for a lazy weekend getaway with your girlfriends, or that special someone. Even with our busy schedules, we can always ‘make room for a little fun’!